Understanding and being true to your values and purpose. And whilst we understand that not everyone can follow their passion and make their living from it, we can align our values to our leadership and ensure that our role brings us fulfillment. Join us for a fascinating insight into how we can align what we were born to do and what we actually do, so that we can inspire those around us and lead with authentic purpose and compassion. Led by Katy Mason, NLP master practitioner and Executive coach whose combined training and coaching approach leads individuals to discover their own why. The morning session includes a 2 course networking lunch. All sessions are available to Chamber Members and Non-Members. Plus, delegates booking all four sessions will receive a 10% discount. 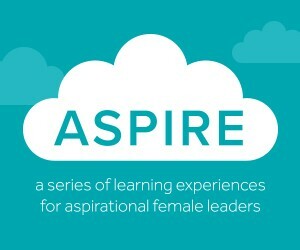 Attendees of all four sessions will be invited to a drinks reception where they will receive an Aspire certificate. The sessions can be booked individually. TO VIEW ALL FOUR SESSIONS PLEASE CLICK HERE.